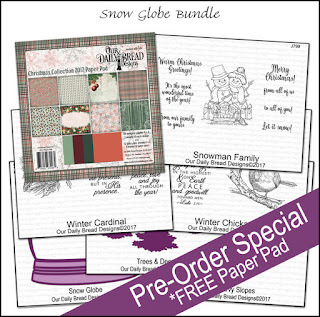 Th-INK-ing of You: A Special Christmas Pre-release! 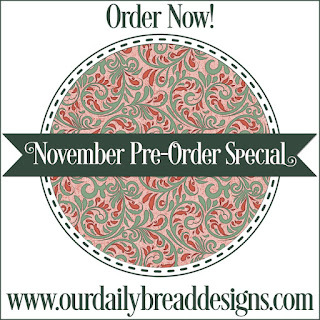 Today through October 31st, Our Daily Bread Designs is offering Pre-Order Bundle Specials on the November 2017 Release! 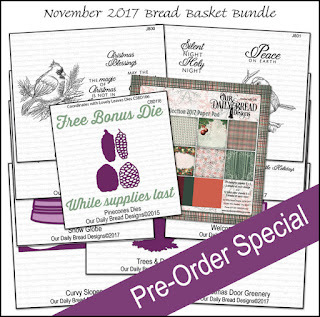 All November 2017 Bundle pre-orders will begin shipping on November 1, 2017 or sooner. Please see the ODBD Blog for more details. Please note that the individual items from the November 2017 Release will not be available for purchase until November 1st! For my sample above, I used the new Winter Cardinal stamp set, Christmas Paper Collection 2017, and past releases: Pine Boughs, Lovely Leaves, Pincones, Small Bow, and Double Stitched Rectangles. I stamped the image with Memento, colored with Copics and highlighted with the Copic white. I die cut my greenery and pine cones and added stickles to each element as well as adding some to the image itself. I stamped the sentiment and die cut it and the image with the Double Stitched Rounded Rectangle dies, and mounted it all on a piece of plaid paper from the new Paper pad. Here are links to the girls on today's hop. Hope you enjoy it! Your card is beautiful Grace!! 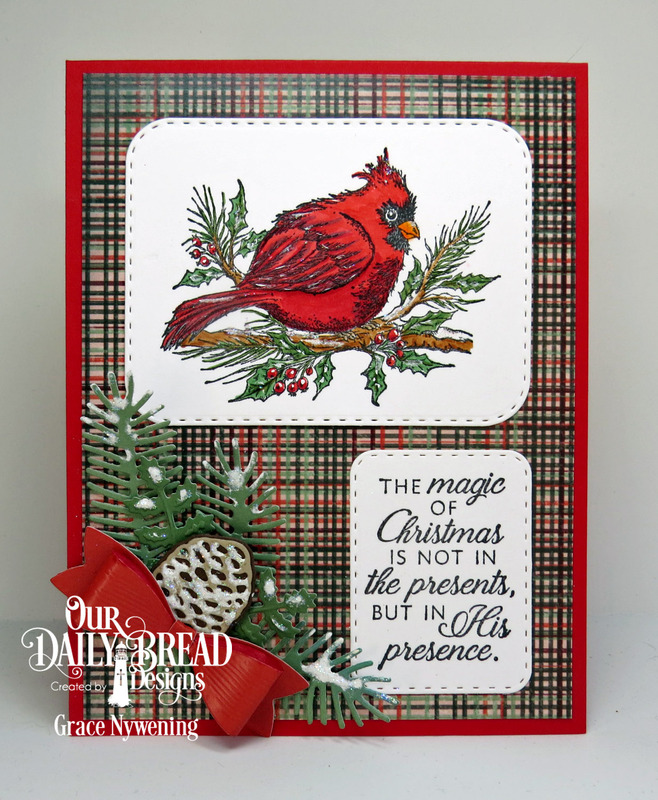 Love the plaid with your beautifully colored cardinal and the added pine! Gorgeous work as always! How absolutely gorgeous Grace - love this beauty, and the sentiment is so very true!! Two more cards with the Oct. Release!